Four Spanish artists two of the new era two of the old school join forces to create these two great tracks, in this E.P called Goods of Groove. 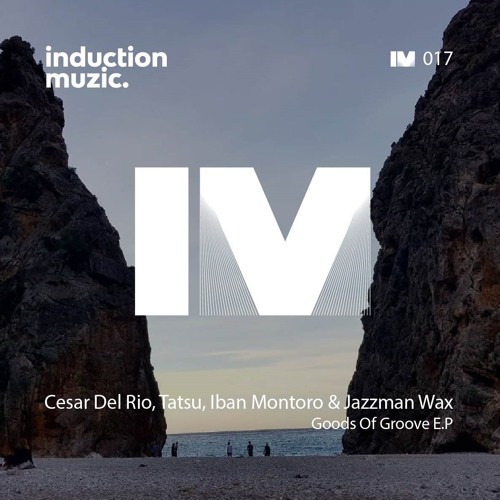 Cesar del Rio 12 years resident of Privilege Ibiza has published on labels like IRecords and Blacksoul, Tatsu hides veteran Isaac Indart, international artist who has productions with Chus and Ceballos and Pig & Dan among others and edited on labels like Stereo, Irecords and Blacksoul. From Iban Montoro & Jazzman Wax can say many things, but the most important thing are his productions on labels such as Strictly Rhythm, Nervous, Robsoul, Exploited and so on and on, an endless list of the best labels in the world. In their last work with Induction they reached No. 2 on the Jackin House charts so the goal is clear, reach the highest!